If you’re feeling down because the weekend is over, our Monday steak special is sure to cheer you up. We’ve got 50% all steaks on our menu. 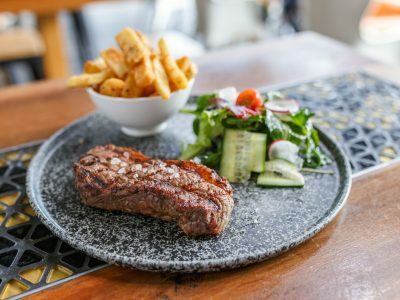 Enjoy a 250g Porterhouse for $15 or 200g Eye Fillet for $18. Grilled just the way you like them, and served with your choice of mash potato & seasonal veggies or chips & salad.